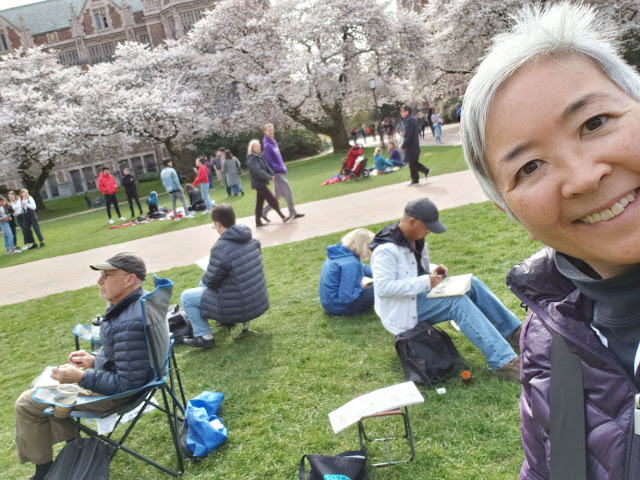 Between the weather and peak blooming, timing an Urban Sketchers Seattle sketch outing at the University of Washington Quad is a tricky matter. Today we hit it just right: While the cherry blossoms weren’t quite at 100 percent, they were close enough, and the sunshine on a cool morning was a bonus. Roy DeLeon invited me and three other sketchers to participate in a 360-degree sketch. 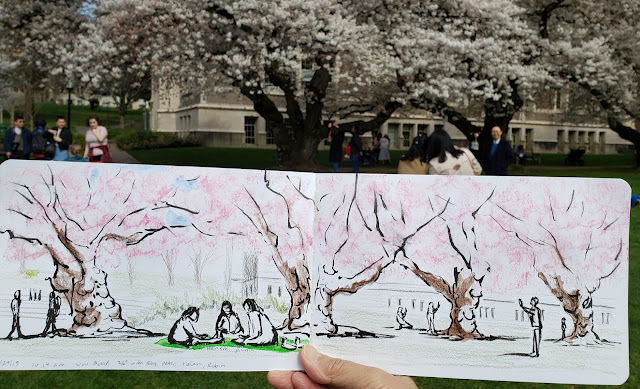 The only other time I’ve done that was at the downtown library a few months ago, and it was a lot of fun, so I came armed with my panorama landscape sketchbook. 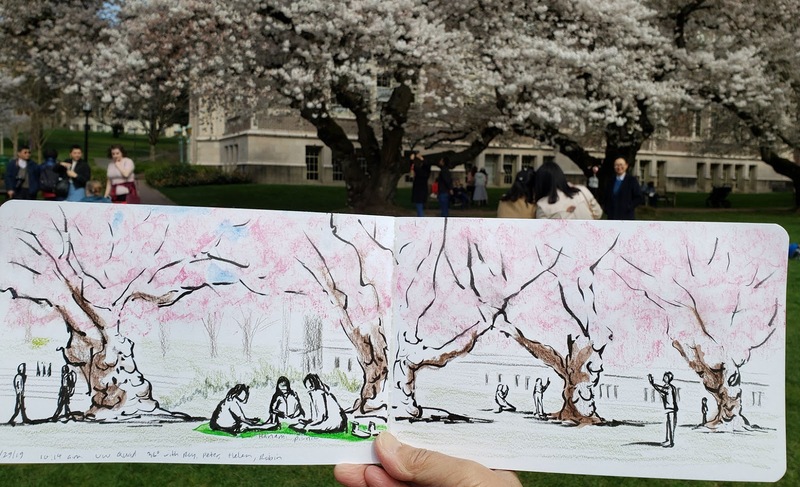 As expected, hundreds of people milled about, enjoying the magical, ethereal blossoms, and some – like the three ladies in the foreground of my sketch – were having a traditional hanami picnic under the clouds of sakura trees. Here are my fellow 360 sketchers, and below are our circle of sketches (though I see now that I got one in the wrong sequence). Peter, Helen, Robin and Roy hard at work. Fun idea. They are all so different!